Many users believed that the shoe had the ‘best cushioning system ever’. Many runners appreciated the roomy toe-box. Several customers lauded the comfortably snug fit of the Adidas Response 3. A few wearers said that the upper was fairly breathable owing to which their foot remained dry and cool throughout the running session. Some of the users pointed out that the footwear was made using good quality materials. A few purchasers liked the overall look and the colors. A customer said that the Adidas Response 3 was certainly worth the money. A few testers mentioned that the shoe felt a little narrow around the toe-box. A customer was doubtful about the durability of the shoe since it started to show signs of wear after several miles of running. The Adidas Response 3 has gained a competitive edge in the market owing to its exceptional cushioning system, an intelligent fit, and very decent looks. The neutral road running shoe suited most individuals in terms of the fit and sizing and its all-around features made it recommendable for those who are looking for a high comfortability and durability in their footwear. The Adidas has made several interesting updates to the latest iteration of the running shoe. The StretchWEB rubber extends across the length of the outsole and delivers an enhanced ground feel with maximum protection. Also, the material provides the flexibility needed for smooth transitioning between the toe-off and the landing phase. The Boost midsole works in synergy with the Torsion System to significantly improve the experience of cushioning and responsiveness. The design of the Mesh in the upper has been made more open to allow for proper ventilation inside the shoe and ensure instant drying and cooling of the foot. The Adidas Response 3 is a road running shoe for neutral runners. It has the standard length for both genders and the standard medium width of D and B for men and women, respectively. The shoe has a roomy toe-box, which allows for the comfortable splaying of toes while running. 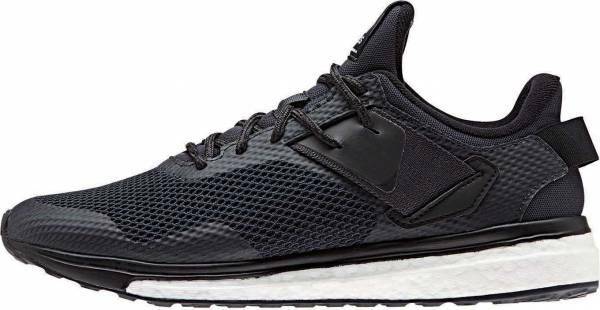 Same as with the well known Adidas Pure Boost, the StretchWEB Outsole is used across the full-length of the Adidas Response 3 and it is known for its high traction and durability. It is also very flexible which makes possible the easy and smooth transitioning through the gait cycle. In the midsole, the shoe utilizes the lightweight Boost layer made up of Thermoplastic Polyurethane pellets. The TPU pellets deliver high energy return and a soft underfoot feel, so that the individual may stay motivated throughout the running session. The Torsion System, which basically consists of a thermoplastic unit, allows the front portion of the foot to move independently of its rear portion for maximum efficiency and better performance on the ground. The Adidas Response 3 offers the Polyurethane Sockliner for additional comfort underfoot. The Open Mesh structure allows for a good amount of air circulation inside the Response 3. Consequently, the runner’s foot remains dry and cool throughout the running session. The stretchy material of the upper wraps itself snugly around the foot, thereby assuming its natural shape and making possible the natural gait for the wearer. The sock-like fit feels soft against the skin; also it prevents uncomfortable chafing inside the shoe. The Lace-up closure helps in achieving a snug fit for more efficiency. The laces effectively maintain the shoe’s customized fit throughout the runs. The padded collar locks down the foot in place. It also adds a bit more cushioning for the foot.